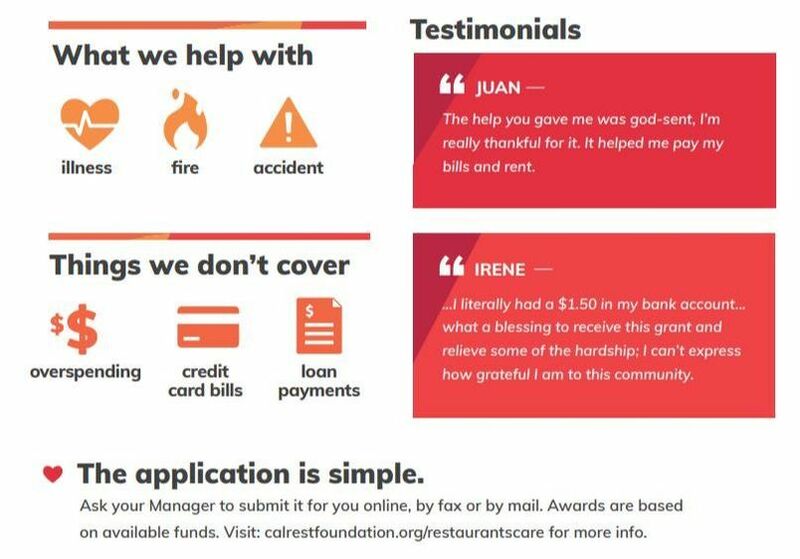 Restaurants Care is a program of the CRA Foundation. We provide one-time financial support to restaurant employees facing an unforeseen hardship. Grants help to cover basic living expenses such as rent, food and utilities as someone works through a crisis. 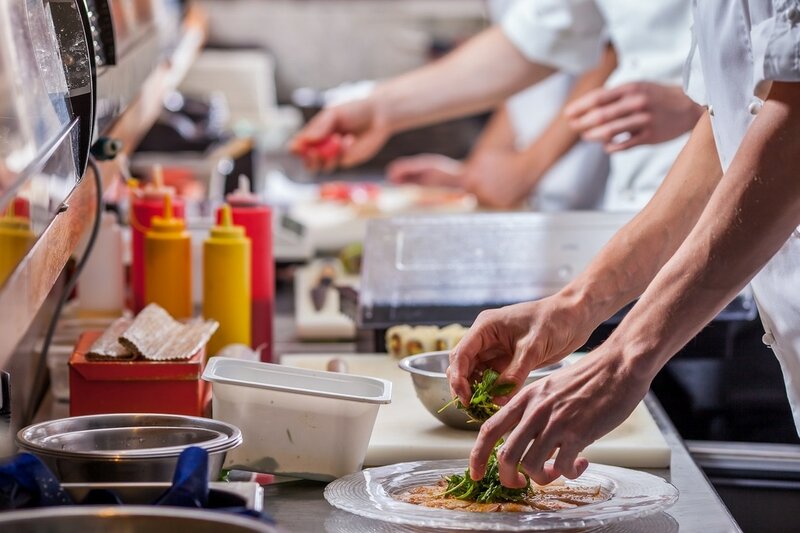 If you are injured, ill, in a natural disaster or experience personal challenges from mental health or substance abuse, Restaurants Care is here to help. It is our way of giving back to the employees at the heart of our restaurant community. Make an impact! 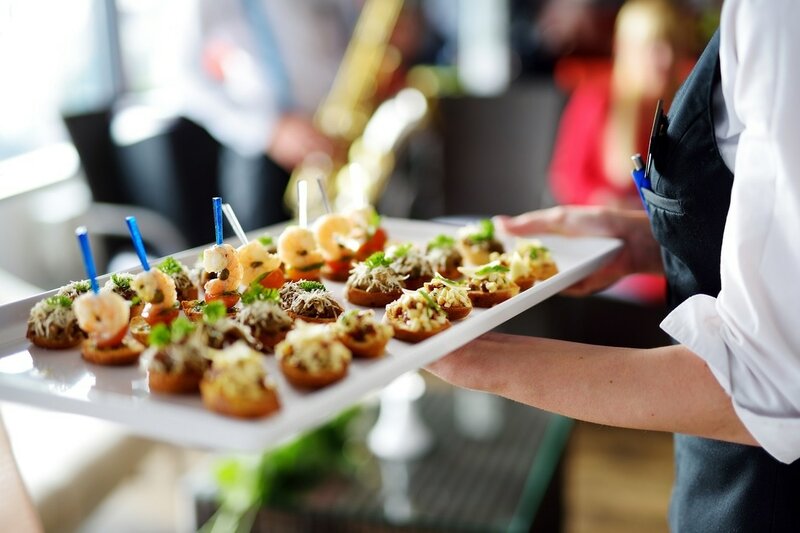 Host an event at your restaurant, business or home to support Restaurants Care. Pitch in and help the heart of our restaurant family! Donations, no matter the amount, offer hope and piece of mind. Hang this poster in your kitchen or BOH to let your employees know about this new resource! 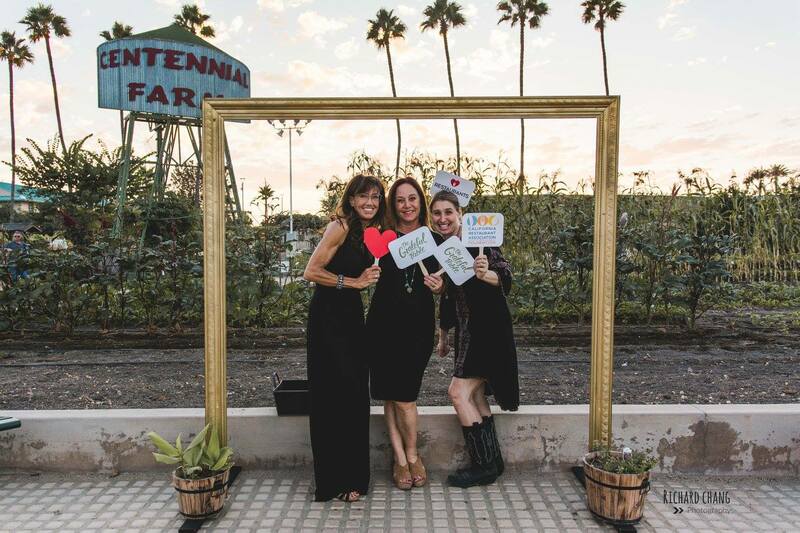 Save the Date: October 12, 2019 at the OC Fair & Event Center! 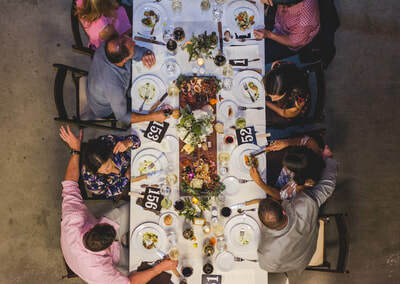 This farm-inspired dinner is a gathering of restaurant leaders to support Restaurants Care. Join us. 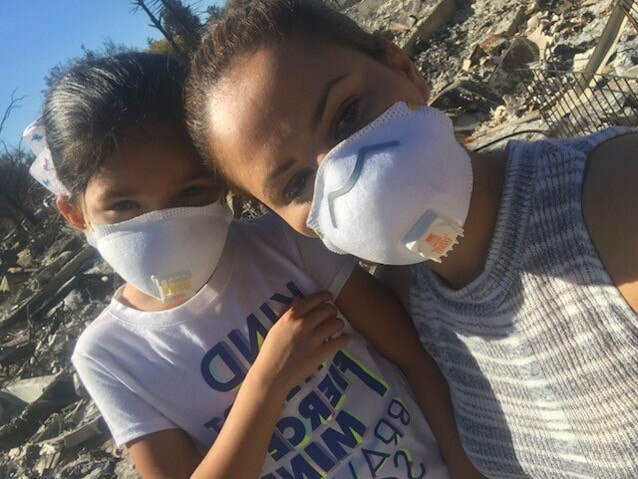 Restaurants Care has funds available for restaurant workers affected by the recent fire and mudslides.